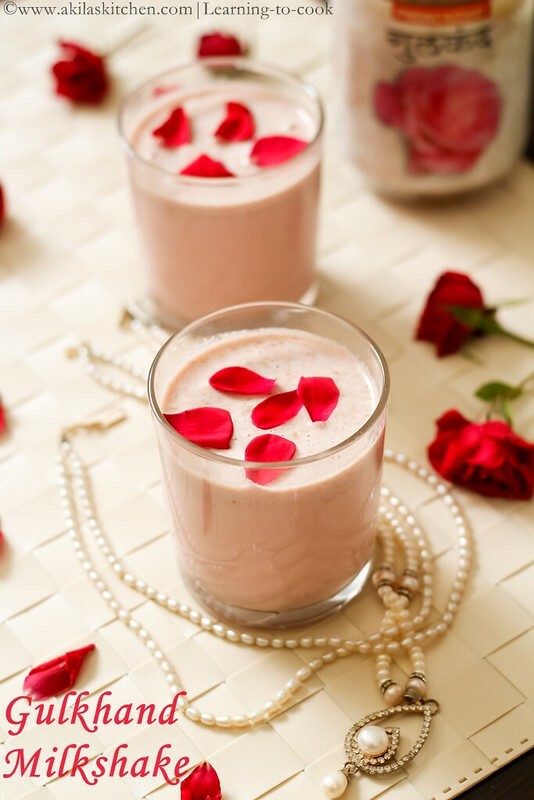 Gulkand Milkshake is made up of Gulkand – a sweet preserve of rose petals, and is prepared using special pink rose petals and mixed with sugar. 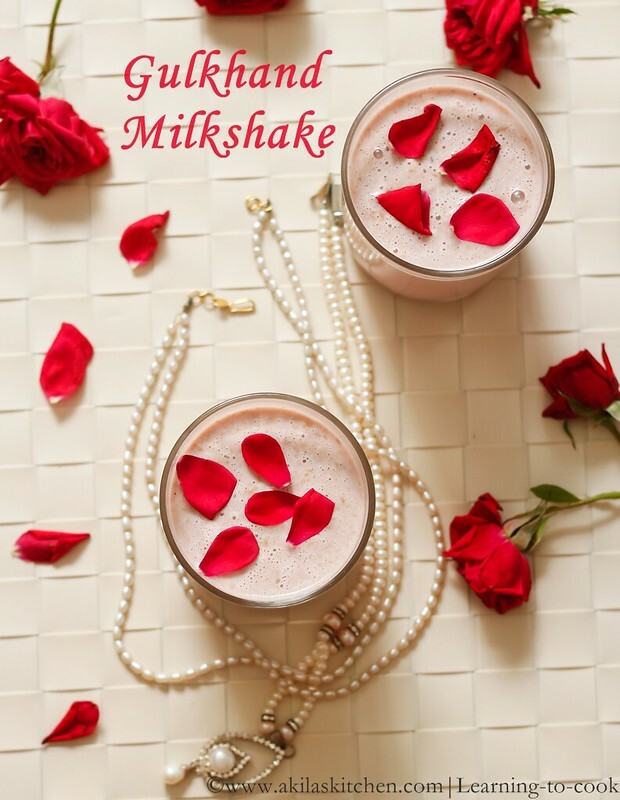 Gulkand Milkshake recipe with easy step by step instructions for your easy understanding and learning. Gulkand – the name is new to me until last year. Saw some of my blogger friends posting recipes, using this ingredient. So did some search in the net and bought the bottle from mustafa centre. 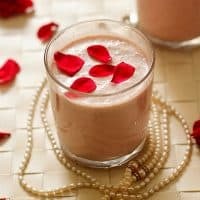 Since I am trying this for the first time, thought of preparing an easy recipe using this, and hence tried this – Gulkand Milkshake. It was really great and I just love it. It is a jam like thing, which is made up of preserving the rose petals in sugar. It has lot of benefits like, reducing the heat from the body, strengthening the teeths and gums etc. (Source Wiki). Mostly Gulkand is made from fresh rose petals and sugar. 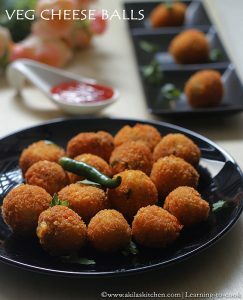 It has been used popularly in paan in India, Pakistan, Bangladesh etc. 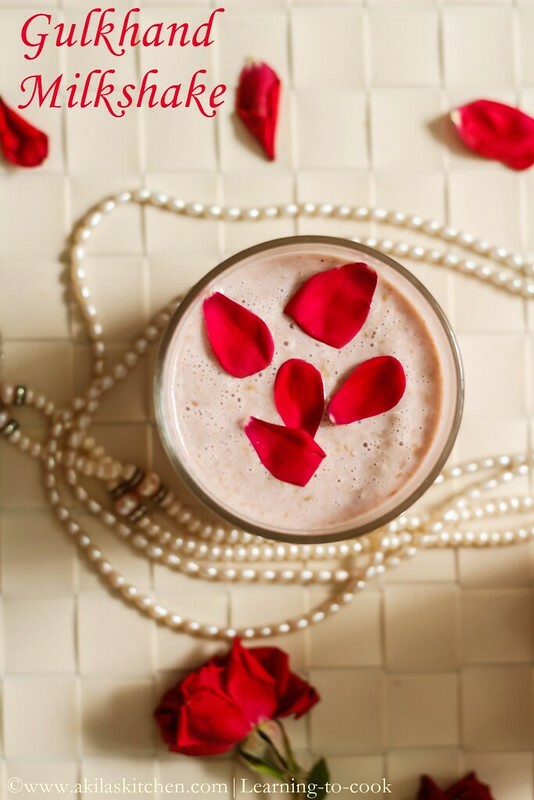 It is nomally prepared by crushing the rose petals along with sugar. But in India, people just mix the two ingredients and keep in sunlight until the sugar gets mixed with rose petals. This method helps to prevent the nutrients present in the rose petals. In Ayurveda, it is specially prepared by mixing the rose petals with honey and some people even mix the rose petals with jaggery. Also gulkand has lots of health benefits which you can read from here. 1. Mix the Chilled milk and Gulkand. 2. Add in the sugar, rose essence and pink colour. 3. Blend all in a mixer until smooth expect the rose petals. 4. Garnish with rose petals and serve. You can avoid the colour when preparing this for kids. 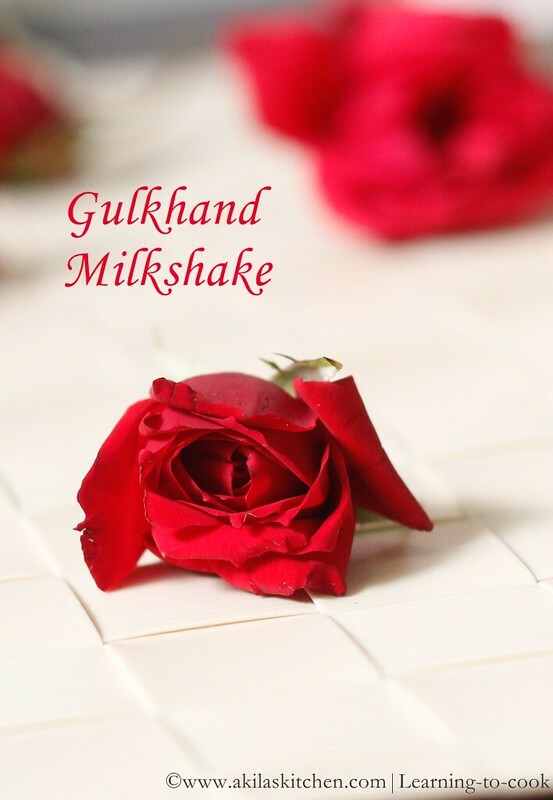 Gulkand Milkshake is made up of Gulkand a sweet preserve of rose petals, used as a flavoring in many parts of South Asia. It is prepared using special pink rose petals and mixed with sugar. Mix the Chilled milk and Gulkand. Add in the sugar, rose essence and pink colour. Blend all in a mixer until smooth expect the rose petals. If you want you can add any kind of icecream like, vanilla icecream, rose milk icecream, strawberry icecream etc. *Post first published on July 19th 2013. Updated with recipe. Mind blowing pictures akila! 🙂 WOnderful recipe too, i love gulkhand! wow liked all ur clicks akila.. great work..
Nice pics. Looks very yummy and delicious. wow i can empty the glass in one gulp ! yummy drink ! Flavourful shake and nice clicks too. Delicious shake and nice click..
wow ,beautiful attractive clicks.wonderful drink. Hey Akila this recipe is new to me.Looks very inviting. 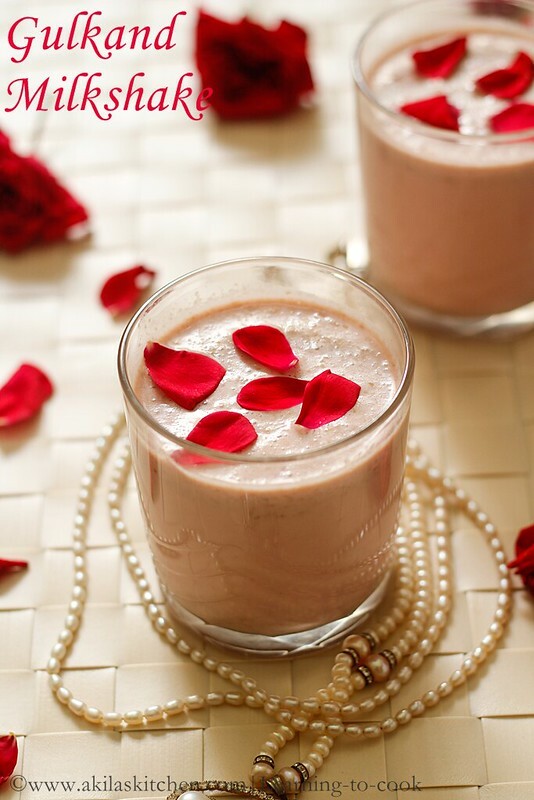 The name itself is giving the flavours of the gulkand milk shake..
delicious drink..want to grab that glass..what a stunning clicks Akila…. Not sure what's Gulkand and if we have it over here. Is there anything else I can substitute because I am so tempted to make this attractive and delicious thick drink. Also, I have roses growing in garden and I can use them.